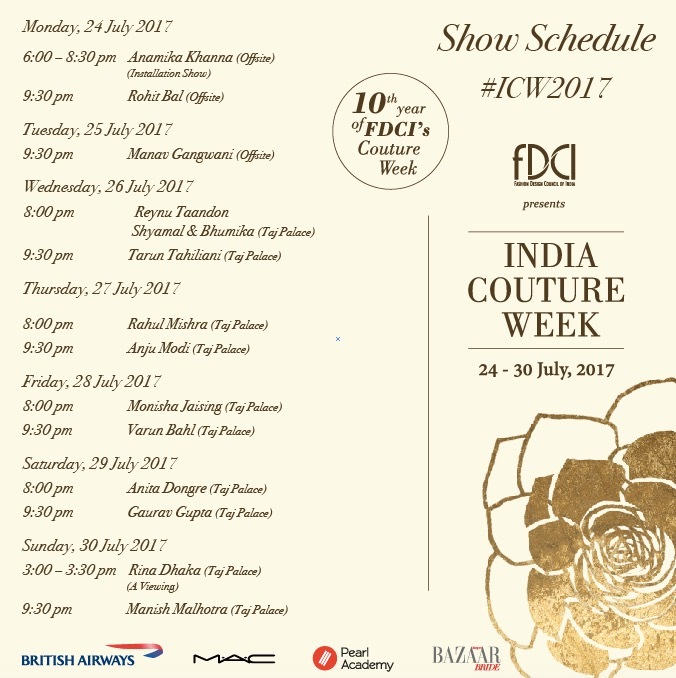 Fashion lovers rejoice as the leading fashion body in India – the Fashion Design Council of India (FDCI) – has planned an entire week of amazing shows to celebrate the works of most talented names in Indian fashion at the India Couture Week 2017. Since it’s the tenth year of FDCI’s couture week and the celebrations are expected to be larger-than-life (and, we just can’t keep calm)! 1) Usually, Indian Couture week was organised for five days, but since it’s a decade of the fashion event the organisers have planned it for a week! 2) A lavish seven-day affair from July 24-30, 2017 will be happening at the Taj Palace hotel in Delhi (including a few off-site locations in the capital). 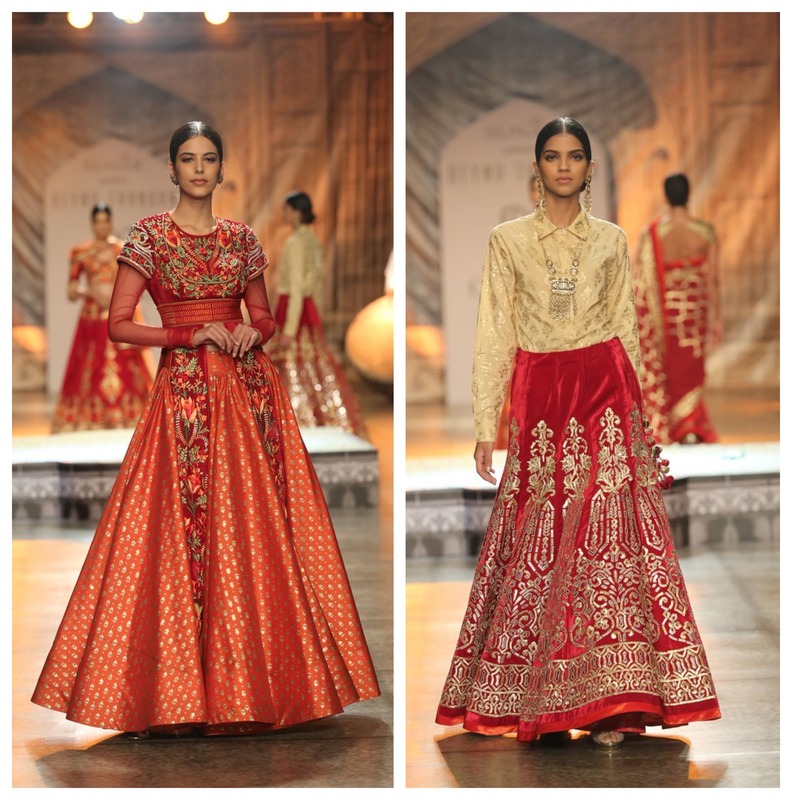 3) This style extravaganza will showcase 14 top couturiers from India. Each day will have two shows displaying the best trends in Indian fashion. 4) The 14 designers showcasing this year are — Anamika Khanna, Anita Dongre, Anju Modi, Gaurav Gupta, Manav Gangwani, Manish Malhotra, Monisha Jaising, Rahul Mishra, Reynu Taandon, Rina Dhaka, Rohit Bal, Shyamal & Bhumika ,Tarun Tahiliani and Varun Bahl. 5) Like every year, a lot of stars are expected to attend the shows to root for their favouite designers. Some of the biggest Bollywood stars like Sonam Kapoor, Kangana Ranaut, Deepika Padukone, Katrina Kaif have already dazzled as show-stoppers in past editions. 6) The grand finale of the India Couture Week will be done by India’s favourite designer – Manish Malhotra (Can’t hold my excitement for this one)! 7) Apart from the 13 shows, there will be a special installation by designer Rina Dhaka on the last day of the week. 8) Two designers — Anamika Khanna and Rohit Bal — will be doing off-site shows to start the current season of ICW 2017. 9) Delhi-based designer Anju Modi is doing a special collection called ‘Sunehri Kothi’ is inspired by the deserts of Rajasthan, and is planning to get a big star as her showstopper. 10) Mumbai-based designer Monisha Jaising will be showcasing a colossal collection called ‘Opera’ that promises to be a treat for onlookers. And, lastly the most important information for you guys – the schedule! Save a copy and mark you favourite shows 🙂 You’re welcome!